We’re four days away from the biggest sporting event in the entire world, and our beloved Egypt will be a part of it. At this time, Egyptians are torn as to what pay more attention to, it’s our final days in the Holy Month, and as we celebrate the first day of Eid Al Fitr this Friday, our national team will be facing Uruguay in our first match in the world cup for 28 years! So whether you’re going to Russia to support our sporting troops, or kicking it at home in full fan mode, you must be prepared with all the fan gear you’ll need. And since we pride ourselves in bringing you all the deets, read on for a comprehensive list of what to buy and where to buy it. 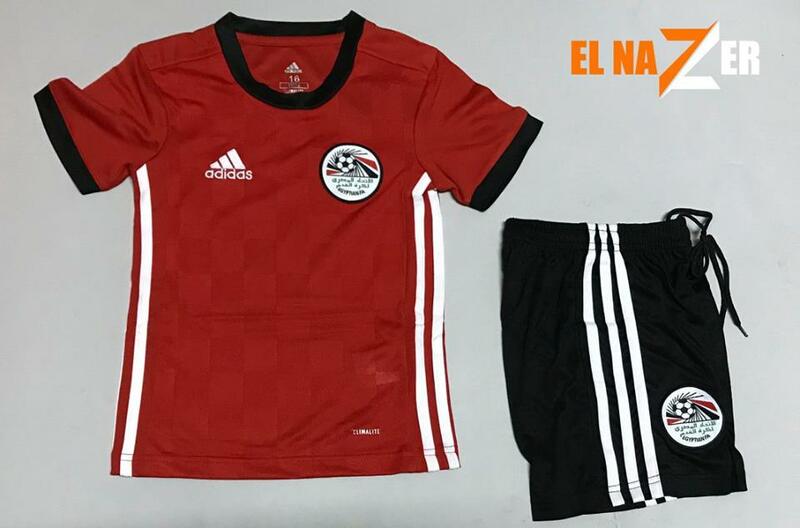 If you’re looking to get the official Egypt kit merchandise, there’s no better way to go than Adidas themselves. You can find numerous branches spread all over Egypt. You can check out their website and find the closest location here. Adidas offers full kits, and the official jersey is at around 1900 EGP. You can also find the FIFA World Cup 2018’s official football at Adidas. 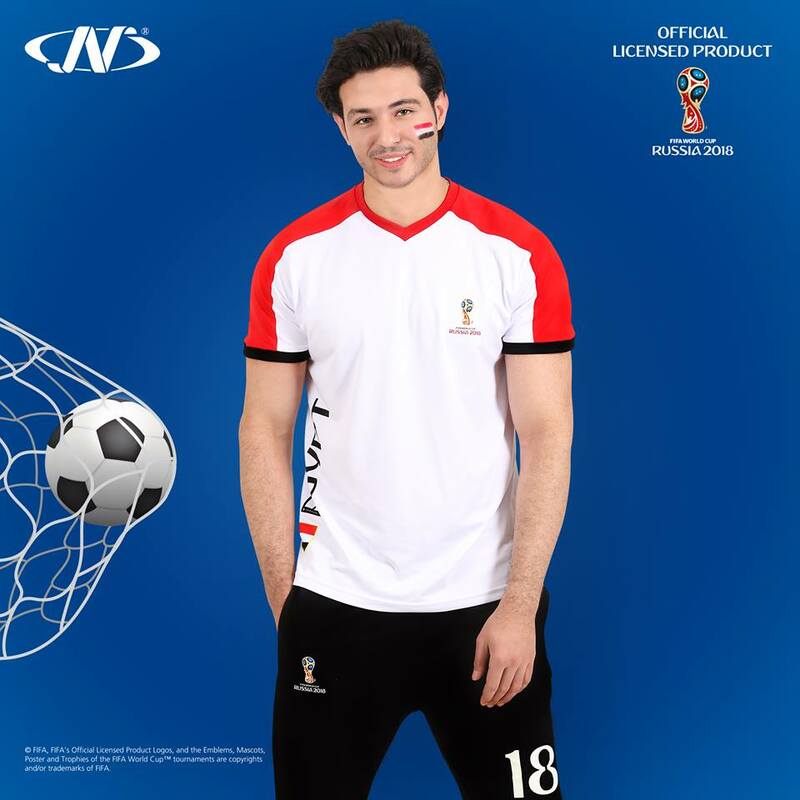 Kits are fun and all that, but if you want to mix it up a bit, you can go for the World Cup licensed fan Polo T-Shirts found at sport stores like Go Sport and El Nasser. Check out their Facebook pages for their location and a better idea on what they offer. You can find their polo shirts that come with an official World Cup tag at a price around 220 EGP. Adidas shirts are definitely the top quality offerings, but if you’re looking for more of a budget-friendly kit, you can hit El Nazer for kits that start at 300 EGP for the jersey. While it may not be the best quality out there, it’s definitely satisfactory and quite a bargain at that price. El Nomrossy has a ridiculous number of offerings that vary in size, shape, colour, and function. You can find almost anything you’re looking for, and you’ll probably find stuff you didn’t even know you needed. And while it mostly offers smaller items for ladies, and customisable attires, they will also be offering fan flags for the World Cup. If you’re not sure where to go, it’s a safe bet that most girls you know can guide you to the nearest branch. Of course, you can find all those fan flags, hats, and what have you at many different spots on the street. Many street vendors will suddenly rise from the ground as we get even closer to the World Cup. So drive just a bit slower, and stay on the lookout at traffic signs. Concrete has seen somewhat of a rebirth in recent times with their impressive campaigns, and while they usually offer formal clothing options, they’re going a bit more casual for the World Cup. You can get your fan T-Shirt at 250 EGP from any of their many stores, or you can get it for free, plus 50% off a second T-Shirt if you buy merchandise for 3000 EGP or more. If you are looking to buy Egypt’s jersey, without putting a huge dent in your bank account, then head to Soccer-Street. At soccer-street you can buy the jersey, and several other items like mugs, wallets, and caps, all for less than 300 LE.